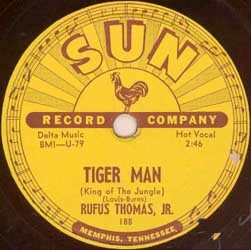 Memphis Tn. Joe Hill Louis (vcl/hca/gtr); Willie Nix (dms); Albert Williams (pno). 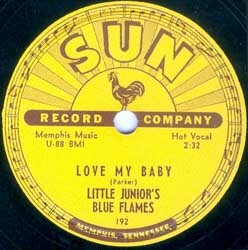 Recorded February 25, 1953, SUN studio, 706 Union, Memphis Tennessee. 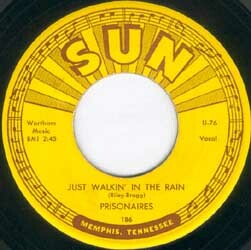 Jimmy DeBerry (gtr, B-side vocals); Walter Horton (hca, A-side); Houston Stokes (dms). 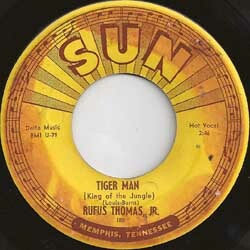 Thomas (vcl, B-side pno); Joe Hill Louis (gtr); Tuff Green (bs/gtr); Houston Stokes (dms). 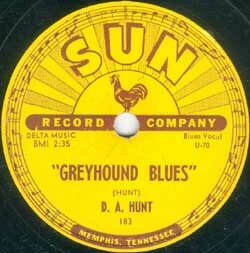 Later pressings without the 'answer to Hound Dog' statement for copyright reasons. 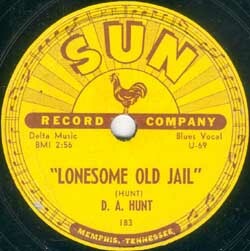 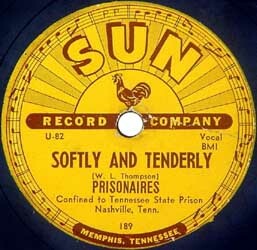 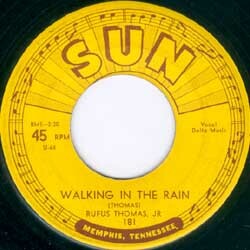 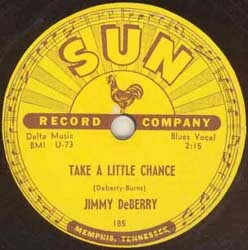 Recorded May 16, 1953, SUN studio, 706 Union, Memphis Tennessee. 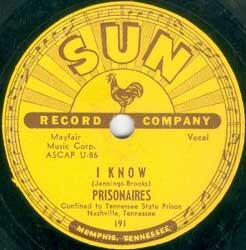 Jimmy DeBerry (vcl/gtr); Raymond Jones (dms); Mose Vinson (pno). 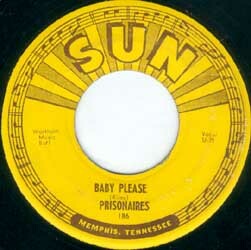 push marks. 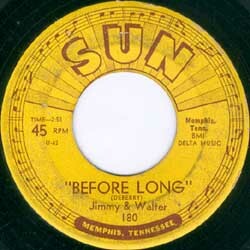 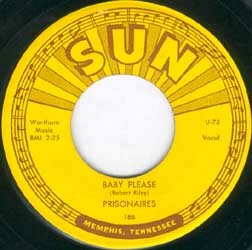 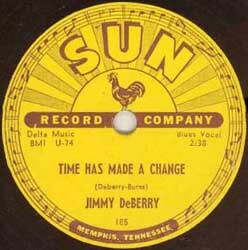 The last 45 rpm depicted is the 1956 re-release on thin vinyl with push marks. 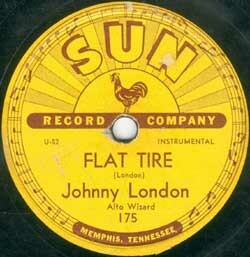 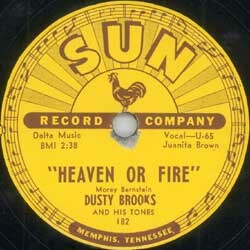 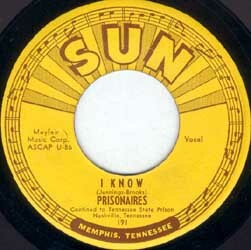 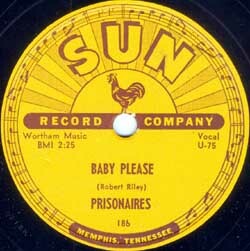 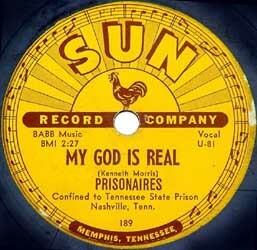 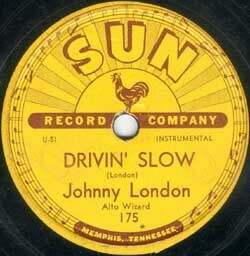 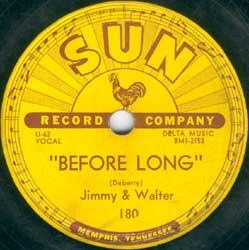 Recorded June 1, 1953, SUN studio, 706 Union, Memphis Tennessee. 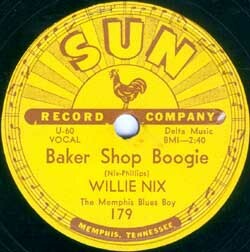 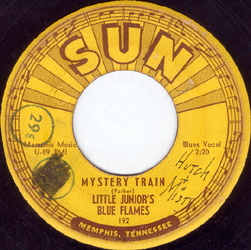 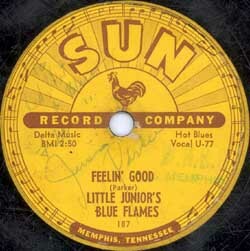 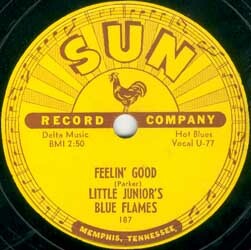 Note the 2nd, autographed 78 rpm: "To Red, Hot & Blue" with faded WHBQ Memphis radio station stamp. Kenneth Banks (bs); John Bowers (dms); William 'Strutcher' Johnson (pno); James Wheeler (sax). 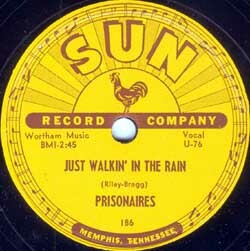 Kenneth Banks (bs); Houston Stokes (dms); William 'Strutcher' Johnson (pno); James Wheeler (sax). 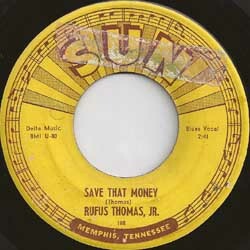 Rufus Thomas didn't record again until 1956, then on Meteor Records. 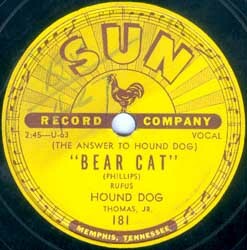 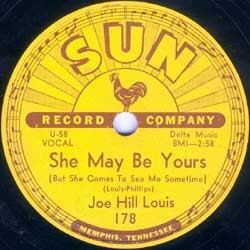 Recorded August 3, 1953, SUN studio, 706 Union, Memphis Tennessee. 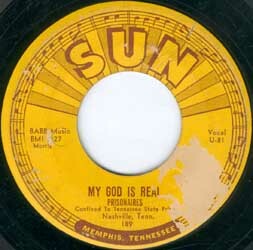 Recorded July 11, 1953, SUN studio, 706 Union, Memphis Tennessee. Recorded August 3 / October 17, 1953, SUN studio, 706 Union, Memphis Tennessee. 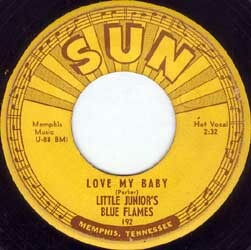 Probably recorded in September or October 1953, SUN studio, 706 Union, Memphis Tn. Possbily with same personnel as the SUN 187 session.